Our current dinner menu is here. Turn the event you are planning into an exceptional occasion. From a simple get-together with friends to a, corporate meeting, class reunion, or wedding, we help you plan every detail. Choose menus and venues that fit the occasion: a cook-out on CVAC's veranda, hors d'oevres in our gracious living room, a small get-together in the intimate dining room, or a 50th wedding anniversary in the banquet room. Each will be perfectly coordinated with our professional staff. We take care of all the details so that on the important day, you can enjoy yourself. Our food and beverage manager has years or experience in the club hospitality business. A national culinary association certifies our executive chef. Our staff routinely receives food presentation and service training. All strictly adhere to state beverage laws and follow responsible alcohol serving practices. Fresh, delicious and beautifully presented fare is the hallmark of our service. Menus are customized to your taste and budget. Our staff is committed to providing outstanding service. 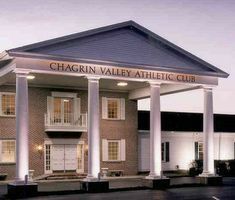 We are proud of the fact that most events held at the club are from referrals and repeat customers. Enjoy a successful event in ideal surroundings with excellent food service. Host your next event, big or small, at CVAC.